A brand new website was developed in WordPress using a custom designed theme. 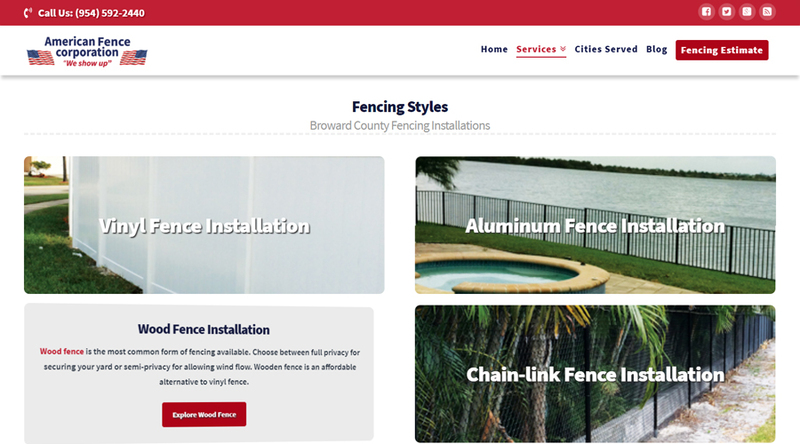 The aim of this website was to increase their visibility within Broward County, FL cities in order to create more of a demand for their fencing installation services. So, from the very start, we were very conscious of the need to create specific pages for each service city in order to specifically target them. 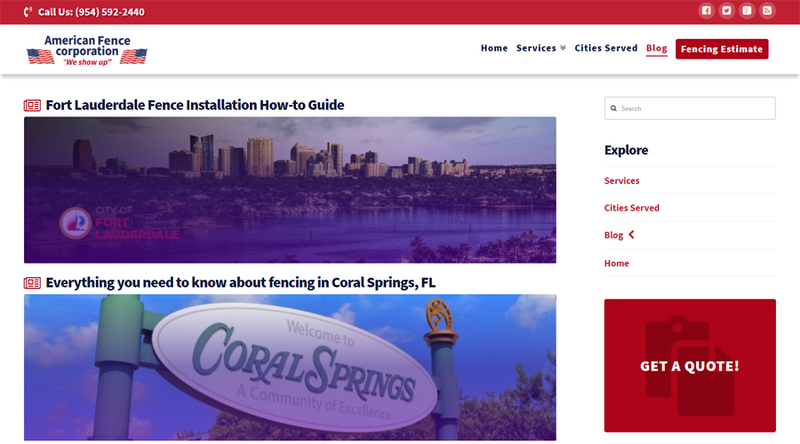 We created a custom post type for the service areas, and then created sub-pages for each city in order to achieve the overall goal. 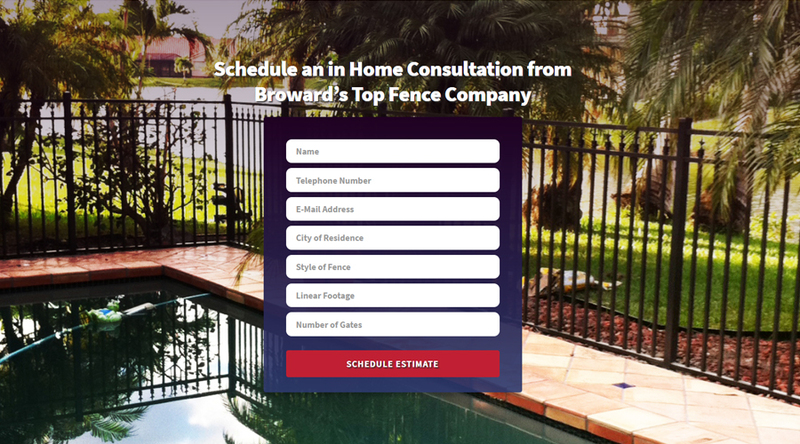 This fencing company only provides installation in Broward County, FL., so we structured an SEO campaign with that in mind. 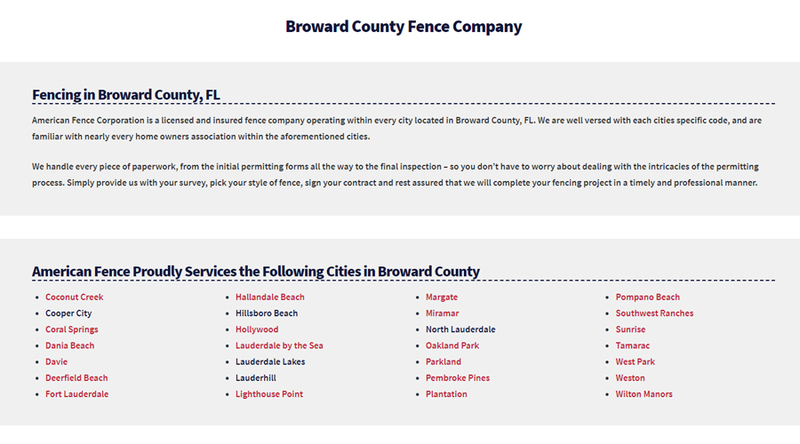 Each of the city pages that we created is heavily optimized to show up in search results only for people who are searching in that city or who are searching for terms such as “city” + “fence company” or fence installation + “city.” This ultimately allowed us to become very pervasive in all searches with fencing keyword in just this one county. 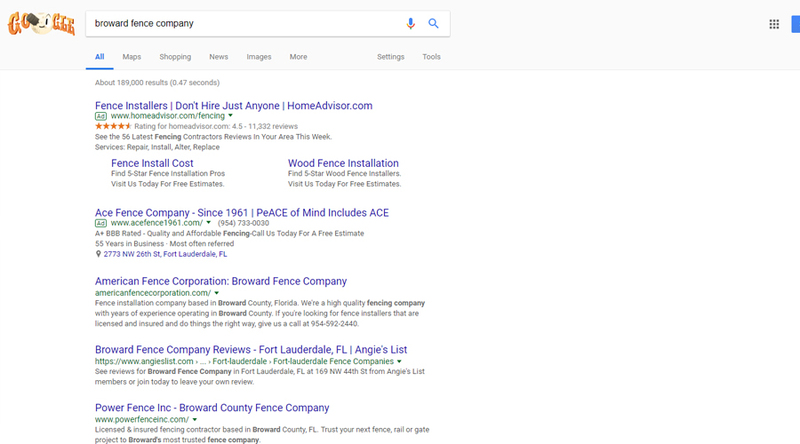 This company now ranks on the first page for all service cities, and typically within the first few spots of the SERPs. 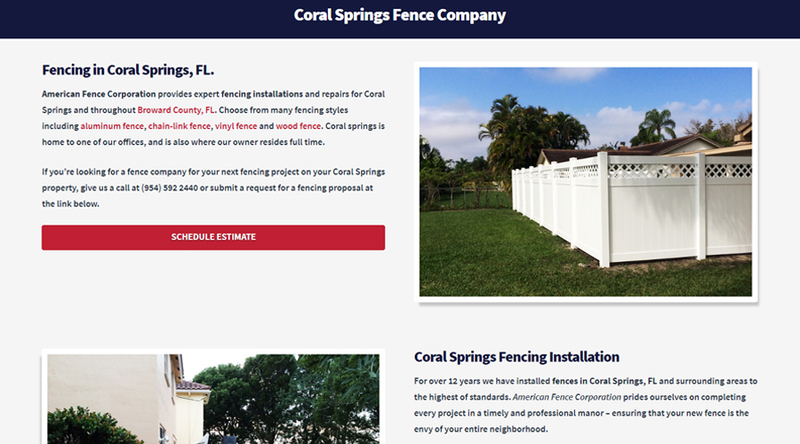 South Florida is a very competitive market for fencing contractors, as it’s an evergreen place with year-round good weather and digging conditions. Breaking into the top search spots was not easy. This company is currently ranking extremely well for all of their service areas and continues to make improvements in rankings over time.